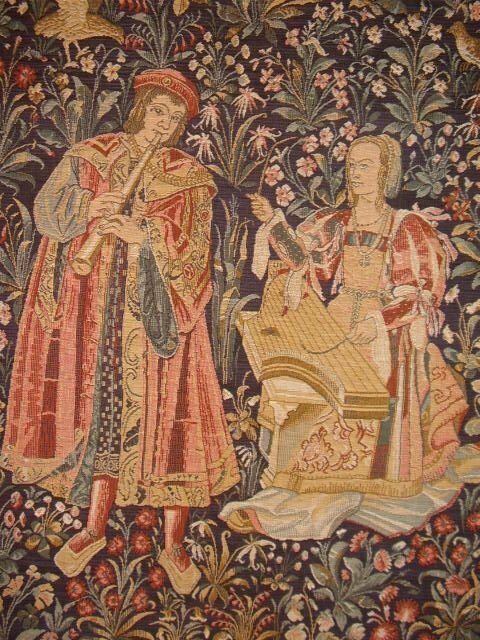 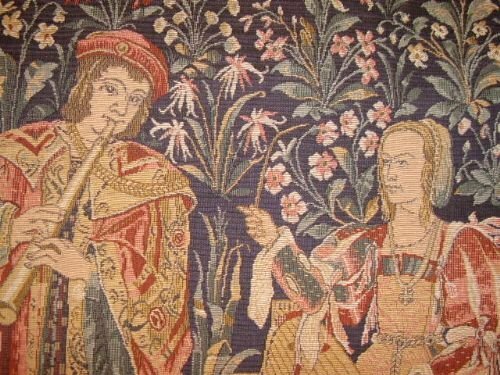 A beautiful florrel tapestry depicting an elizabethan scene,with a flute being played by a gentleman in period costume,with his lady companion lady who is accompanying him on a stringed instrument. 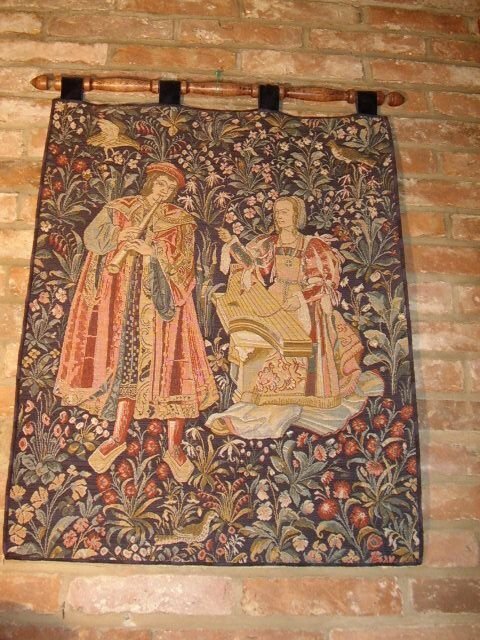 The condition is very good,as the tapestry was originally preserved and framed under glass,but has been more suitably adapted to be wall hung as a scrolled display,hanging from a turned oak pole. The edges have been carefully adapted by being bound to prevent any threads becoming loose. 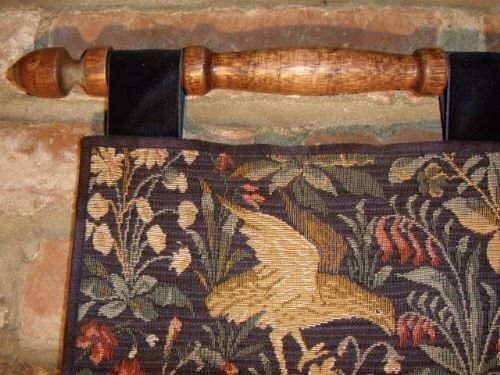 The bottom edge has been weighted to prevent any creases. 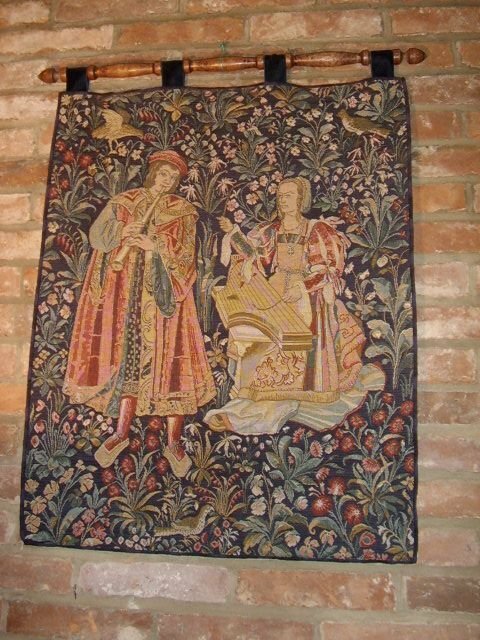 Finished in great detail with flower and bird decoration,iwhich has still retained a rich colour.